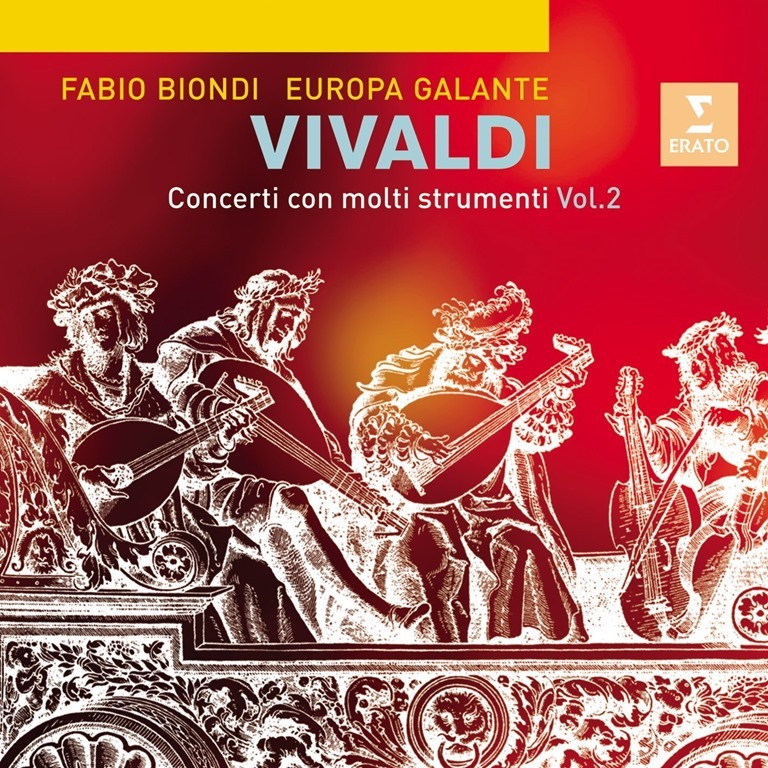 The first time I heard some music by Vivaldi was when I was about 15 years old. It was his Concerto for Two Trumpets, Strings and Continuo in C major, RV 537. I remember it was on a 10-inch 33 1/3 rpm record with a blue label. That was 56 years ago! Since then, if there has been one composer who has accompanied me all these years, it was Vivaldi (with Tchaikovsky a close second). All the others came later along the way. 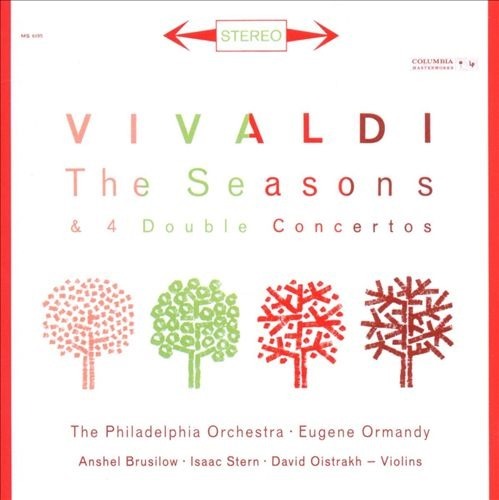 When I first started buying records in my teens, I was a member of the Columbia Record Club, and I recall purchasing Vivaldi’s Four Seasons played by Eugene Ormandy and the Philadelphia Orchestra. These were a revelation to me, and way back then, Vivaldi was certainly not heard that often. Apparently the recording has been re-issued, but I have moved on since those days, and prefer my baroque music played on instruments true to the period. 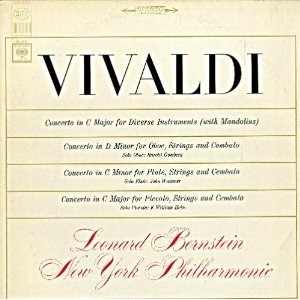 I think the second Vivaldi recording I bought was one with Leonard Bernstein and the New York Philharmonic. It had a concerto for diverse instruments with two mandolins, one concerto for oboe, one for flute and one for piccolo. The concerto for diverse instruments was particularly appealing, although by hindsight one shudders at Bernstein’s use of a trumpet in the place of the tromba marina (a stringed instrument). 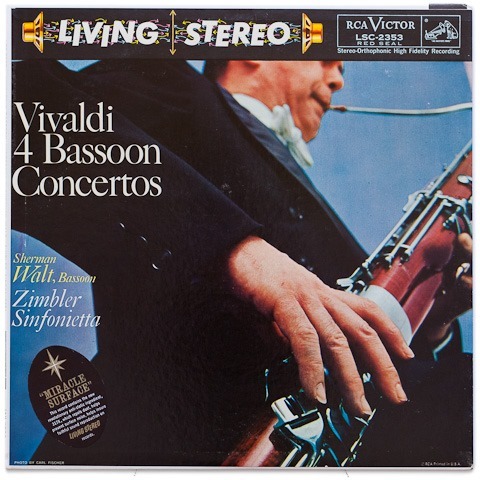 My third Vivaldi purchase was an RCA recording of Vivaldi Bassoon Concerti, which I enjoyed tremendously, especially a concerto in F (RV 485) with its little ritornello in the third movement. This was the beginning of a lifelong love for Vivaldi’s Bassoon Concerti. I own a couple of complete sets on CD, and am avidly collecting a third, performed my Sergio Azzolini and the players of L’Aura Soave on the Naïve label. Over the past 50 years, Vivaldi has become a household name for classical music lovers, and a great deal of his music has been recorded, including operas, sacred music and many, many, many concerti. 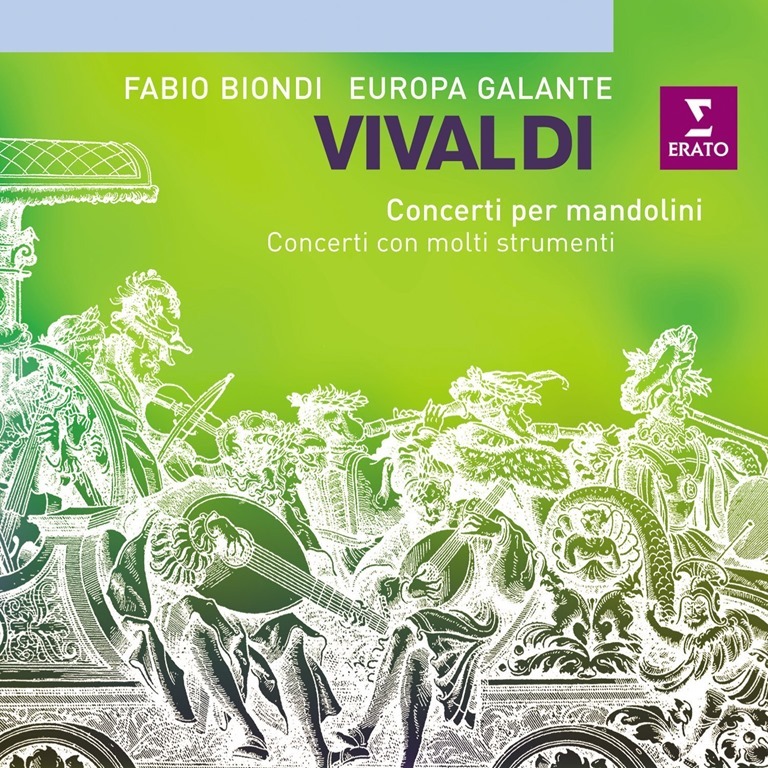 It seems that throughout these 50 years, I have bought Vivaldi recordings, especially on CD and especially on instruments authentic to the period. I don’t think a week goes by without some Vivaldi. As far as the Four Seasons are concerned, I think that the BIS recording with Nils-Erik Sparf and the Drottningholm Baroque Ensemble (BIS CD-275) is one of the best. The playing is delightful, sharp and crisp and the music sounds completely new. Other recordings have since been issued and been critically acclaimed, particularly the recordings by Europa Galante directed by Fabio Biondi, and by Il Giardino Armonico cnducted by Giovanni Antonini. The Four Seasons are concerti for violin and string orchestra, although you will find them transcribed for almost any instrument now. They were part of the twelve concerti published as Vivaldi’s Il cimento dell’armonia e dell’invenzione, Op. 8. Other published collections were L’estro Armonico (op. 3) La cetra (Op. 9) and La stravaganza (Op. 4). All reward the listener. But there are other concerti, usually grouped on recordings by the instruments they feature. There are six flute concerti grouped in Op. 10. There are about 25 cello concerti, and 37 bassoon concerti as well. Especially fascinating are the concerti for viola d’amore, for mandolins, and various groupings of instruments. These are best heard played by period instruments. 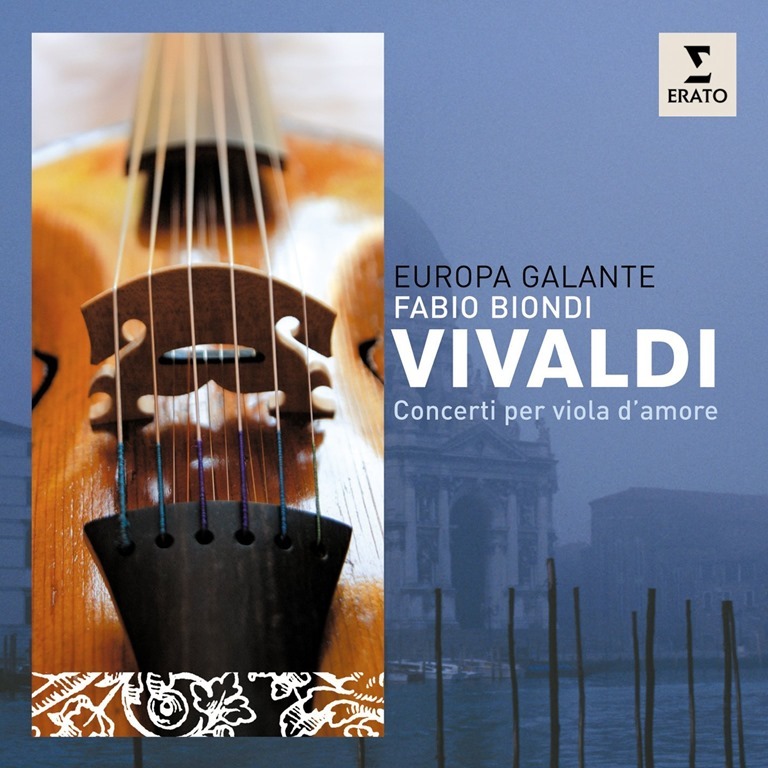 The best recording of the concerti for viola d’amore is by Fabio Biondi and Europa Galante. It contains seven concerti as well as the Concerto for viola d’amore and lute in D minor, RV 540. The viola d’amore is very attractive. It has six or seven strings and the sound is slightly nasal, as there are sympathetic strings that add a particular resonance. Also included here is a concerto in F major (RV 97) for viola d’amore which strangely includes oboes, bassoons and hunting horns in its third movement. The effect is quite astonishing and evocative of a hunt. The same forces gives us the concerti for mandolins and concerti ‘con molti stromenti.’ There are two volumes. The first has three concerti for mandolins, and four for various combinations of instruments. The second also has seven concerti, one of them for the strange combination of solo violin, two hunting horns, 2 oboes, 2 violins, alto viola and bass as well as tympani, the latter a most unusual inclusion for Vivaldi. Both these albums are terrific. Another favourite album is a Warner Bros. Elatus disc which features two trios and five concerti with various instrumental combinations. The players are Il Giardino Armonico, and their interpretations are nuanced and sensitive. Finally, a word about the bassoon concerti. 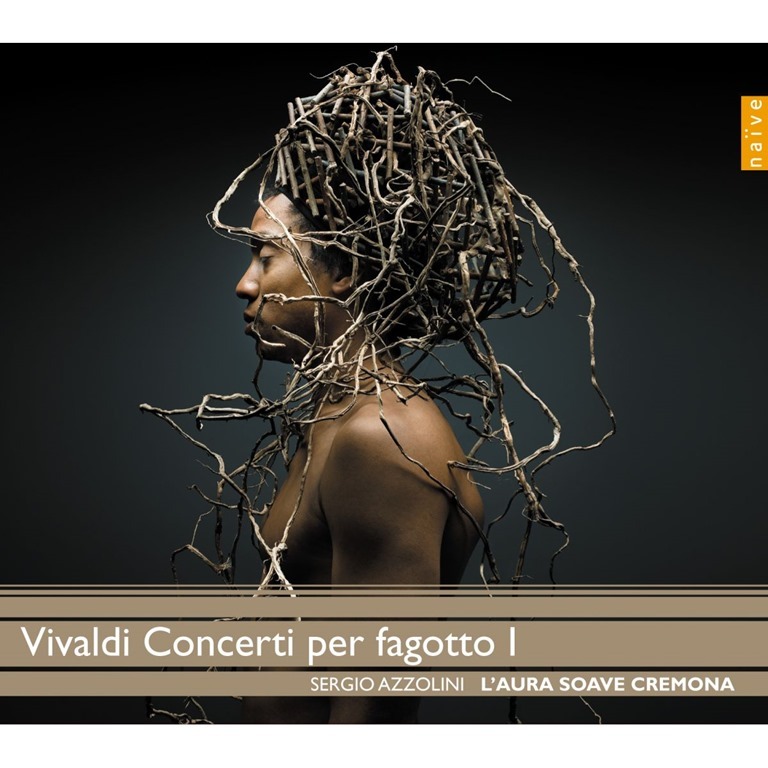 At least three complete sets are available, but the best by far are those played by Sergio Azzolini and the ensemble L’aura soave of Cremona. I have always been very fond of the bassoon concerti, and certainly look forward to the remaining two albums to complete the collection. You can hear the complete album of the first set on YouTube. The series (on Naïve label) also has some striking cover art. I can only suppose that the woodsy quality of the images somehow relates to the woodsy timbre of the baroque bassoon. Vivaldi’s spirited music is perfect in the morning, it is cheerful and sunny. There is a life-affirming quality about it which is sure to lift one’s spirits. As a listener of Stingray Music, part of our cable service, I get to hear quite a bit of Vivaldi on their Baroque channel and I continue to discover the music of his contemporaries too. There was something incredibly positive about the Baroque period, and certainly Vivaldi’s music epitomizes the period. I always bring a CD or two of Vivaldi’s music to play in the car when I am travelling. And they are also on my MP3 player. Perfect for the gym, for walking, or doing just about anything. Note: The listener will find a lot of Vivaldi’s music on YouTube, and the CD’s are worth purchasing too. The sound is so much better!